When your iPhone breaks, it hurts. We understand. 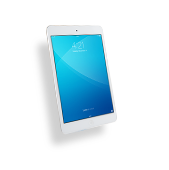 We can get you and your device up and running in no time, with no hassles. Cellairis® is Texas’s trusted choice for fast, reliable iPhone repair service. We are an electronic device repair company with stores located throughout the country, including a location in Texas, Texas. If your iPhone has a cracked screen, needs a new battery or has been damaged by water, we can help. We offer fast turnaround times, exceptional, personalized service and the best warranty in the industry. Our goal is to take the hassle out of iPhone repairs. Our experienced technicians are highly-trained and qualified to perform a variety of different types of iPhone repairs including front glass and LCD replacement services, water damage diagnostic and repair services and battery replacement. We use only the highest quality parts for all of our repairs and we stand behind our work with the industry’s best warranty. Open for business. Like a boss. When your phone breaks, you don't want it fixed tomorrow you need it fixed today. 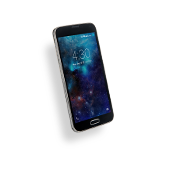 Repairing beats replacing, and Cellairis beats all other phone repair companies with a guaranteed lowest price and speedy, professional service. Stronger than any phone case, Cellairis offers the most reliable warranty on the market. We can fix it almost as fast as you can break it. We don't do waiting rooms. We do fast phone repair. 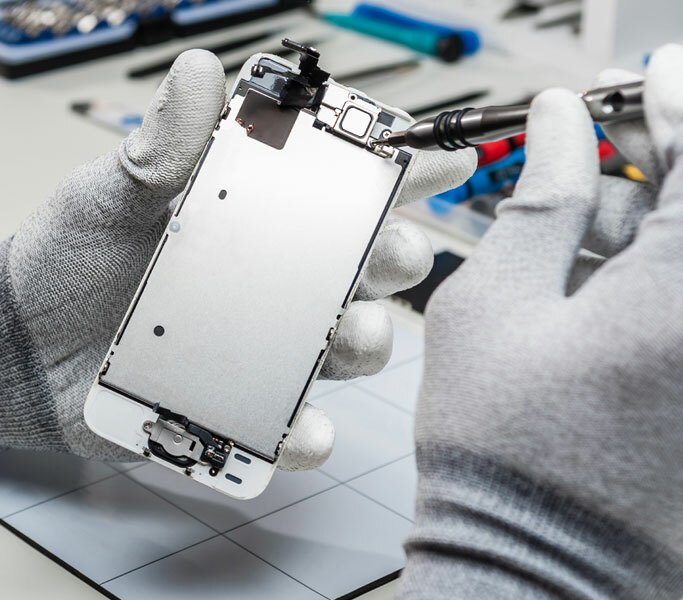 In most cases, technicians will be able to repair your device in just minutes, and if it's a phone screen accident you need us to make Un-Happen, we'll normally get your phone in and out in 45 minutes or less. When accidents happen, Cellairis is here to help. 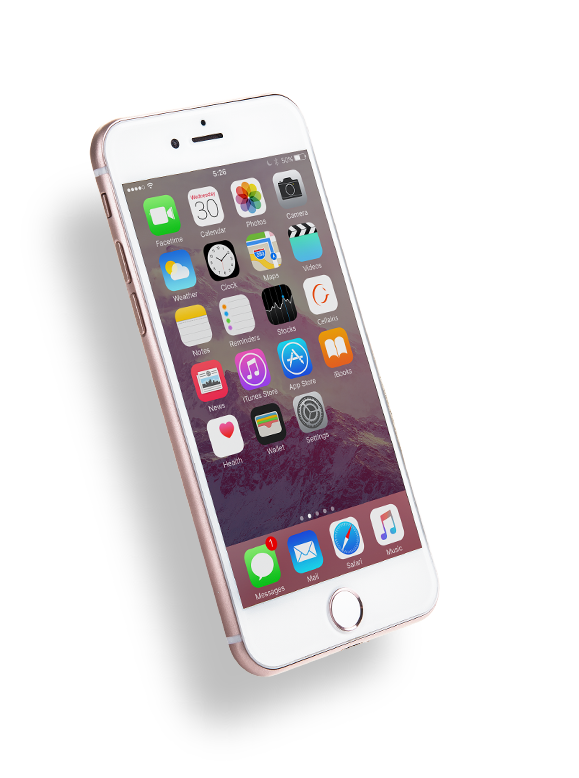 All over Texas Cellairis stores offer quality Texas iPhone repair. If you crack or shatter your iPhone the repair specialists at Cellairis are the smart choice. 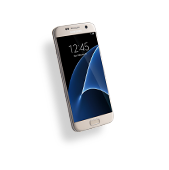 At Cellairis, we are obsessed with protecting your phone. 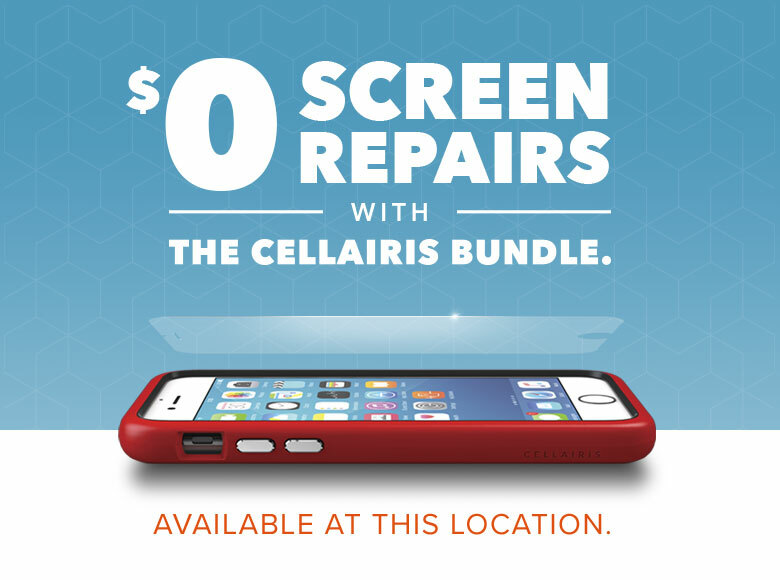 Participating Cellairis locations offer in-store repairs for damaged devices. Trust Cellairis for cracked screen replacements, water damage repairs, mechanical damage repairs and more. We are the nation’s leading retailer of cellular accessories and we are quickly becoming a Texas leader in device repair. Call your local area Cellairis to see if they are a participating partner for in-store repair service. Don’t allow water damage to be the kiss of death for your device. The repair specialists at Cellairis offer full service water damage repairs. Come in today for a free estimate for device repairs, your repair will come standard with the industry’s best warranty. For fast same day service and comprehensive iPhone repairs trust Cellairis, where you’ve come to expect more. Cellairis, where life meets mobile. Don’t get stressed over that bothersome cracked iPhone screen, Cellairis can help. For fast and affordable Texas iPhone screen repair or screen replacement, come to a participating Cellairis location that offers in-store repairs. Cellairis uses top quality replacement parts on all repairs. Our repairs are backed with the industry’s best warranty. 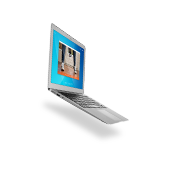 You can trust our knowledgeable repair professionals for top quality repairs. Customers can not stop raving about the prompt and reliable iPhone repair service at participating Cellairis stores. You can expect the best from Cellairis, we won’t settle for anything less. Bring your cracked or shattered iPhone to your local Texas Cellairis store for fast and affordable repairs. Cellairis offers same day service or repairs while you wait. 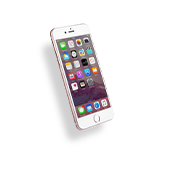 Contact Cellairis today for more information about iPhone repair. Broken and slow-performing devices can grind productivity down to a halt for big and small companies. Cellairis can get business booming again. You can be the owner without feeling like you’re all on your own. Learn about the world-class support Cellairis franchisees enjoy. Surely we haven’t answered all your questions yet. Let’s touch base and figure out how Cellairis can get you some answers. Sign up for the Cellairis Newsletter to stay on top of the latest product launches and member-only deals.